A child’s health is directly tied to the health of its mother. A mother’s health greatly influences the ability of her child to grow, adapt and survive. 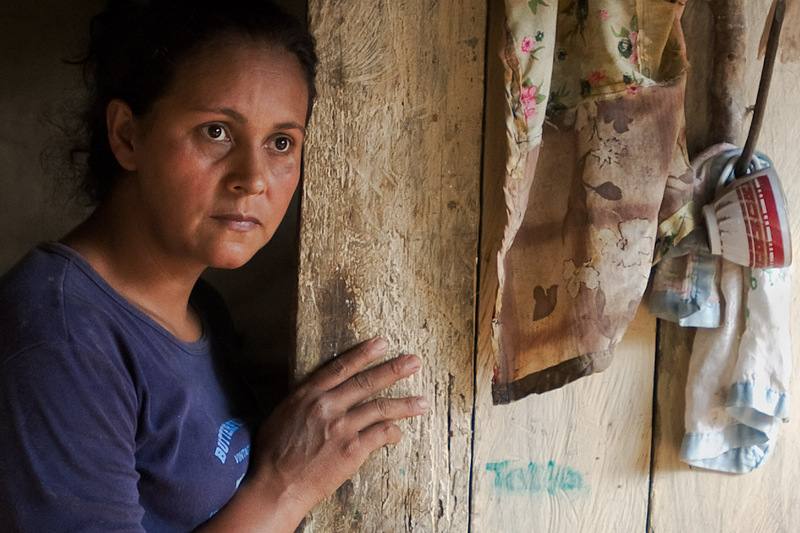 But what happens when a mother lacks access basic needs for herself or her children? Availability of safe water and adequate sanitation and hygiene are critical to an individual’s health. In regions of the world that lack clean water and adequate sanitation and hygiene, the opportunity to improve poor health is extremely difficult. Safe water and sanitation are vital to the life of woman throughout her lifetime. In many places, women are responsible for fetching water for the household. Walking long distances and carrying heavy water loads accounts for an average of 10% of the carrier’s daily caloric use. During pregnancy, such exertion can negatively affect a woman’s weight gain and inhibit the growth of her baby. Once fetched, water quality is a constant concern. Unsafe water can transmit bacterial, viral and parasitic infections such as: cholera, typhoid, hepatitis E and hookworm. These illnesses can lead to weight loss, malnutrition, dehydration, anemia, and hypertension; each has the potential to increase maternal mortality and contribute to possible complications. During delivery, exposure to unsafe water and sanitation and poor waste management increase the risk of infection. The lack of clean water and adequate sanitation and hygiene prevents necessary birth practices such as hand washing by birth attendants, delivering on a clean surface, using clean equipment for cord-cutting, and providing clean towels to wrap the baby and attend to the mother. Hand washing by birth attendants and mothers alone was found to increase newborn survival by 44%. After delivery, clean water and sanitation are necessary for bathing and feeding. Women need access to adequate water and sanitation for personal hygiene, management of conditions like fistula, and prevention of infections. For mothers who do not breast feed, clean water is crucial to ensure safe formula/food preparation-treatment of water can take hours of a day away from other productive activities. In a limited-resource environment, the risks of not having clean water or proper sanitation and hygiene are significant. Of the 140 million women who give birth each year, over 350,000 die from preventable causes. 15% of all maternal deaths are caused by infections in the six weeks following delivery and are due to unhygienic practices and poor infection control during labor and delivery. Before birth, water, sanitation and hygiene indirectly influence the health of a child by directly affecting the health of its mother; once born, the effects of unsafe water and poor sanitation and hygiene directly affect the health of the child. Each year, around eight million children die from preventable causes. 3.3 million neo-natal deaths (before 28 days old) are attributed to sepsis caused by unhygienic practices during birth. In addition, 1.4 million children die each year from preventable diarrheal disease. Approximately 88% of all diarrhea cases are related to unsafe water and inadequate sanitation or insufficient hygiene. Due to frequent illness, a child’s quality of life is affected and their attendance at school suffers. Some children may fail to progress in their educations past a primary level-these same children become uneducated parents and so continues the cycle of poverty and poor health. Access to clean water and adequate sanitation is a violation of a basic human right. But at present, 2.6 billion people lack access to basic sanitation, while 884 million lack access to safe drinking water. Clean water, adequate sanitation and hygiene help a woman provide a stable and healthy environment for her child, before and after birth. Women depend on safe water, sanitation and hygiene to have healthy pregnancies, successful births and strong children. Lacking clean water and sanitation adversely affects maternal and child health outcomes and perpetuates poor health outcomes, low educational attainment, poverty and preventable death within populations that are in great need of improved health and economic stability. Like a good mother, clean water nurtures and protects. Societies must acknowledge the need of clean water and adequate sanitation and hygiene as vital to the health and well-being of women and children and a key to improved community health.